Golf tournaments are a great way to build loyalty for both employees and clients alike. Golf Tournaments reward your guests with a round of golf on our challenging 18-hole course in combination with our first class food service. Your employees and clients will know the “Value” of a golf day at Eagle Vale and appreciate your investment in them. These events have yielded excellent returns to those groups that have chosen to maximize their exposure. Charities, foundations, and other non-profit organizations have found golf tournaments an effective tool in meeting their fund raising needs. Our professional staff will tailor the day to meet your individual goals. Whether it be a buffet dinner, a bar-b-q on the patio or a full-service steak dinner, our staff will attend to your every detail. We have a unique registration area for your staff and volunteers that make it easy to check your guests in. The registration area is close to the driving range, the snack shop and our Argyle Grill, making it easy for your clients and friends to feel at home here. The registration/patio area is also enclosed with a large patio overhang to help when the weather isn’t cooperating. Golf carts are also positioned near this same area. Our friendly staff will greet everyone, take their clubs to their golf carts and guide them to the registration area. All details, large and small are taken care of so that you, as the Tournament Director can enjoy the day too! 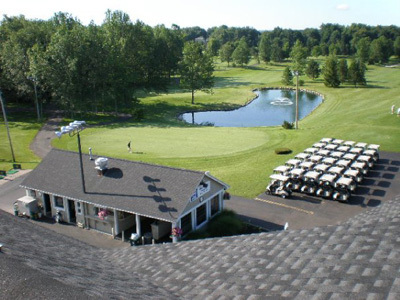 Feel free to contact our staff at (585) 377-5200 or by using our convenient online form to discuss how your group can maximize your image through an effectively designed golf tournament.